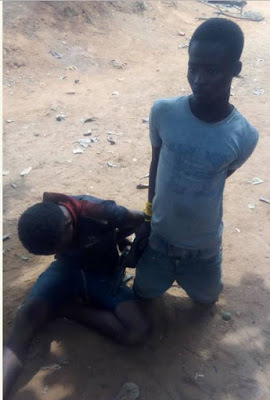 Luck ran out of two young boys who travelled all the way from Benue state to Ogun state just to steal from on poultry farm named Taos farm, Security operatives on duty apprehended the two robbery suspects on the 28th January 2018 night. 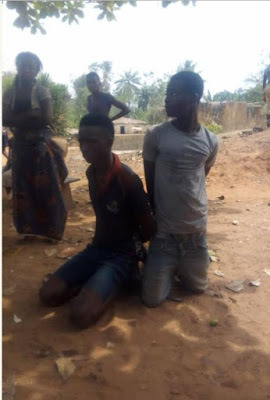 They were caught with a gun which is shown on the video below and have been handed over to the police for proper interrogation. Rumours gathered have it that they are Secondary School students with a strong flare to live above their means.